In 1991, Scott Cooper, a former sales rep for vaccine maker Merck & Co., refused to vaccinate his son. After he and his wife thoroughly researched vaccine safety and effectiveness they discovered that vaccines are NOT safe or effective and decided not to vaccinate their son. Contrary to popular opinion and Big Pharma propaganda, according to Scott their son was healthier than his vaccinated peers throughout childhood. Paul Fassa is a contributing staff writer for REALfarmacy.com and a TLB contributor. His pet peeves are the Medical Mafia’s control over health and the food industry and government regulatory agencies’ corruption. Paul’s valiant contributions to the health movement and global paradigm shift are well known. Visit his blog by following this link and follow him on Twitter here. If you think mandatory vaccination is just for the kids, you are wrong. The greed train that is Big Pharma is going to push down every wall which poses a threat to block any sort of revenue. And one of those wall is adults, who, ironically are OK with Government forcing these needles into their children but they themselves rarely go in. And this loss of Big Pharma “market share�? has caused more than just concern amongst the “stakeholders,�? but it has spawned an all out Government plan to change it. Think they can only force your kids to get these shots? Think again. As soon as all states get forced vaccination for kids passed, the adults are slated next. 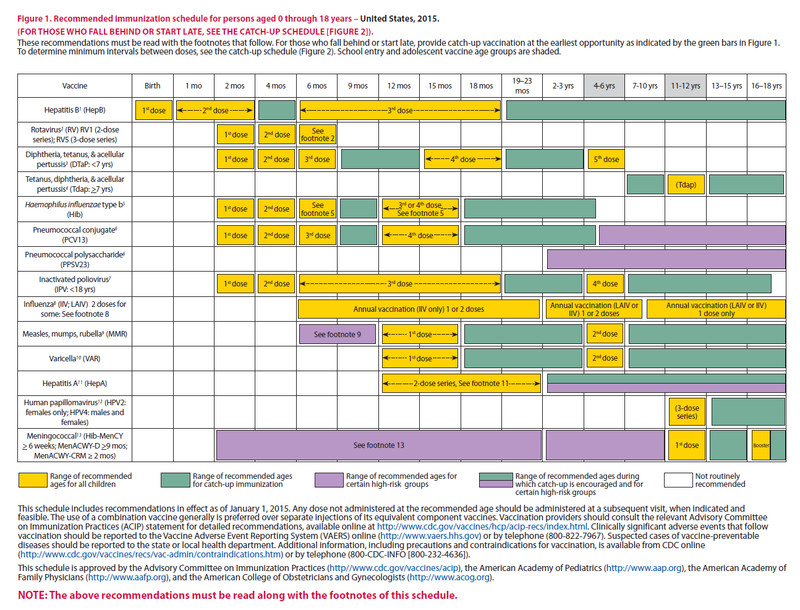 This is the U.S. Department of Health and Human Services National Adult Immunization Plan. Yep, it’s reality and they want it accomplished by 2020. –Vaccination is considered one of the most important public health achievements of the 20th century and continues to offer great promise in the 21st century. Vaccines save lives and improve the quality of life by preventing serious infectious diseases and their consequences. However, the benefits of vaccination are not realized equally across the U.S. population. Adult vaccination rates remain low in the United States, and significant racial and ethnic disparities also exist. The fact that they blatantly call them “stakeholders�? means they aren’t even hiding the revenue agenda anymore. They either realize that they have subjugated this nation, or, they realize that so many people remain completely unaware to what’s happening around them. “The HHS Action Plan to Reduce Racial and Ethnic Health Disparities includes a measure to increase the percentage of the minority population who receive the seasonal influenza vaccination.�? So if you are black or hispanic, look out, the government is coming after you first. Past the blatant racism, there is this…. “Increase the use of electronic health records (EHRs) and immunization information systems (IIS) to collect and track adult immunization data.�? So yes, you read that right, they are going to make sure they share your medical records with Doctors and pharmaceutical companies to figure out who isn’t vaccinated. Maybe one day we can all have a number transcribed on our foreheads? What else does this mean? Well, it means way more marketing and propaganda efforts used to subjugate the greater peoples into believing that the Government is trying to “help them�? or “save them�? from dire straights. And that’s how these things always start. The easiest way to subjugate people is to first, get them to trust you. It’s the core element that leads to very bad things. We have to educate more people on exactly what’s happening in our world before it is too late. TLB recommends you visit The Edgy Truth for more great/pertinent articles. Did You Celebrate Health Tyranny This Fourth of July? Have you noticed? We do not have health freedom in the land of the free. We have health tyranny. Ironically, as we enjoyed the Fourth of July celebration of the Declaration of Independence, California legislators propagandized or simply bought by Big Pharma have made the CDC vaccination schedule compulsory for all children before they can attend public or private schools. Opposing views and mass citizen demonstrations were totally ignored or rejected. It’s said as California goes, so does the rest of the nation. Meanwhile medical kidnappings conducted by Child Protective Services (CPS) for mainstream medicine are on the rise. Even children who have been cured of cancer by so called “alternative�? means are court ordered by hospitals to undergo chemotherapy or be taken into state custody by the CPS! 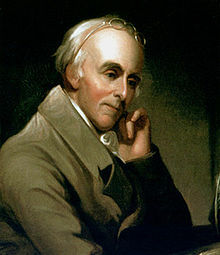 Dr. Benjamin Rush (1745-1814) was a colonial physician who was the Surgeon General of the Continental Army during the Revolutionary War. He opened the first free medical clinic at the Pennsylvania Hospital and was considered the “Father of American Medicine�?. He could also be considered a founding father since he signed the Declaration of Independence. But he did not sign the Constitution that was drafted in Philadelphia in 1787 to replace the Articles of Confederation and create a stronger central government to replace 13 independent states’ confederacy arrangement. He reportedly didn’t even attend the constitution signing ceremony, but he knew what the document contained and didn’t contain. Perhaps that’s why he didn’t sign or even attend the signing. There are two versions of what Benjamin Rush had to say about the constitution, but they essentially contain the same warning. The most repeated version: The Constitution of this Republic should make special provision for medical freedom. To restrict the art of healing to one class will constitute the Bastille of medical science. All such laws are un-American and despotic. Unless we put medical freedom into the constitution the time will come when medicine will organize into an undercover dictatorship and force people who wish doctors and treatment of their own choice to submit to only what the dictating outfit offers. Version from the Youngstown Vindicator newspaper in 1911: Laws restricting the practice of the healing art to one class of physicians and denying equal privileges to others, constitutes the Bastille of Medicine, for they prevent progress. They are relics of Monarchy, and therefore have no place in a Republic. It wasn’t until 1791 that the Bill of Rights was incorporated into the Constitution after urging from several states’ representatives concerned that perhaps the Constitution had given the newly created central government too much power. Though the Bill of Rights could be loosely or vaguely interpreted to support health freedom, there was nothing specific allowing the practice of all types of medicine and the citizens’ rights to choose which would be appropriate for their needs. And the letter law trumps the spirit of our laws. John D. Rockefeller was famously quoted as saying “competition is a sin�?. Whether he said that or not is irrelevant. It was the way he operated, creating monopolistic enterprises with railroads and oil during the latter part of the 19th Century. In order to help create a medical monopoly to increase the return on his investment in the burgeoning petrochemical pharmaceutical industry, the Rockefeller and Carnegie groups started funding medical schools that did not teach herbalism or homeopathy. Instead they created and funded allopathic medical schools that taught only surgery and synthetic pharmaceutical drug applications. John D. Rockefeller’s efforts are largely responsible for creating our medical monopoly He lived well into his 90s, reportedly using herbalists and homeopathists for him and his family while he nurtured his pharmaceutical industry into the juggernaut that dominates today. It’s said the Royal Family of England, where homeopathy still has schools and clinics remaining, also enjoys these “alternative�? forms of medicine. The AMA (American Medical Association) at first simply a union for allopathic physicians became a powerful instrument of pharmaceutical and medical fascism bent on eliminating competing practices by the end of the 1920s. The only people allowed to practice medicine were allopathic doctors, and allopathic physicians were not allowed to stray from what was declared by the AMA as orthodox and standard of care. 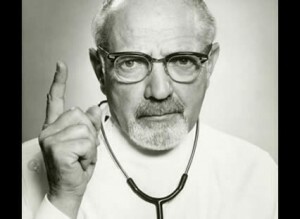 Individuals or MDs who cured cancer without cut (surgery), burn (radiation), or poison (chemotherapy) were vilified, ruined, and even arrested. But why did some of them manage to reestablish their practices in Mexico and flourish by successfully curing cancer at higher rates less expensively with less debilitating side effects than AMA’s “orthodox�? oncology? The commonly held concept is that Mexico is so lax and poorly regulated that any “quack�? can practice medicine there. But maybe that’s not true. Though allopathy is also dominant in Mexico, homeopathy flourishes without pressure or intimidation. So does acupuncture and Chinese medicine. Laetrile, banned here in the USA because it works and isn’t profitable enough, is used in many Mexican cancer clinics by Mexican MDs. Ozone (oxygen) therapy for cancer and other diseases is used openly there. But except for Alaska and a very few other states, don’t you dare use it here. By the way, Mexican MDs are not slouches either. Some are educated in the USA, and they generally have a more superior “bedside manner�? than our American physicians. It’s a cultural thing. My wife and I lived in Mexico for a couple of years. According to a good Mexican friend who owned a health food store in San Miguel de Allende and an American MD there who practiced acupuncture while his wife practiced homeopathy, health freedom is written into the Mexican Constitution. While there I had the choice of going to a doctor for vitamin B12 injections or buying vials of B12 and syringes with needles at pharmacies cheaply without a prescription. I chose the latter. That’s more like what health freedom should be. A variety of medical practices openly operating giving individuals the right to choose. 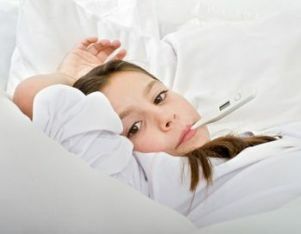 Now the World Health Organization has announced recently that it hopes to implement, via a U.N. Resolution, “universal health coverage�? across the globe. The Rockefeller Foundation is working with WHO (World Health Organization) in this project. “There is a global movement towards UHC (Universal Health Care) and it is gathering momentum,�? said Judith Rodin, President of the Rockefeller Foundation. What’s this? The Rockefeller Foundation is involved with the WHO to get a UN resolution to promote universal health care coverage? Well the Rockefellers are globalists who helped create the UN. And health care coverage in most regions, especially the USA, covers only allopathic pharmaceutical led medicine, not any other form or practice of medicine. That keeps the medical monopoly intact with expensive invasive and toxic “treatments�? while forcing others who wish to avoid that branch of medicine paying out of pocket, a hardship for many even while alternative practices are less expensive. According to investigative journalist Eustace Mullins, author of Murder by Injection, medical expense coverage for expensive allopathy to ensure control is what the Rockefellers intended by establishing medical insurance, private and public. Just what Dr. Benjamin Rush warned against as the United States Constitution was drawn up. Too bad the constitutionalists ignored him. Paul Fassa is a contributing staff writer for REAL farmacy.com and The Liberty Beacon project. His pet peeves are the Medical Mafia’s control over health and the food industry and government regulatory agencies’ corruption. Paul’s valiant contributions to the health movement and global paradigm shift are well received by many. Visit his blog by following this link and follow him on Twitter here. AMA Renders Itself Irrelevant over Vaccines! The Civil (Disobedience) War is ON! The AMA has completely lost it’s mind! It has just come out against all religious & philosophical exemptions for vaccines. The snorting arrogance is stunning! 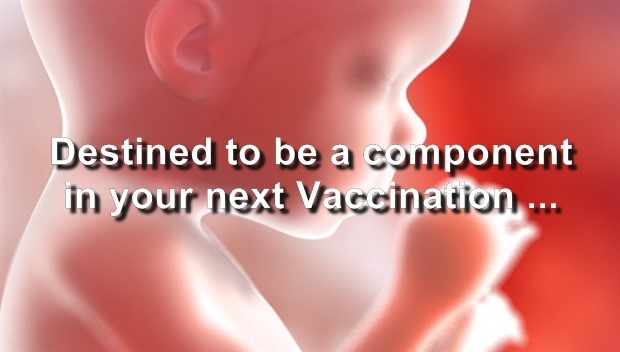 More than 50% of vaccines contain human aborted fetal tissue. That is positively screaming out for both religious & philosophical exemptions, which more and more thinking adults and parents are choosing! 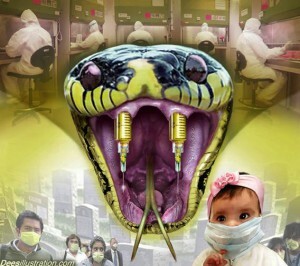 The AMA intends to campaign to force us to inject other people’s aborted children into our own children and ourselves? Only in a Nazi Fascist world! Well The Civil (Disobedience) War is ON! The AMA will be dissolved before the American people continue to submit to such a grotesque horror. So, Dr. P., the cat’s out of the bag. 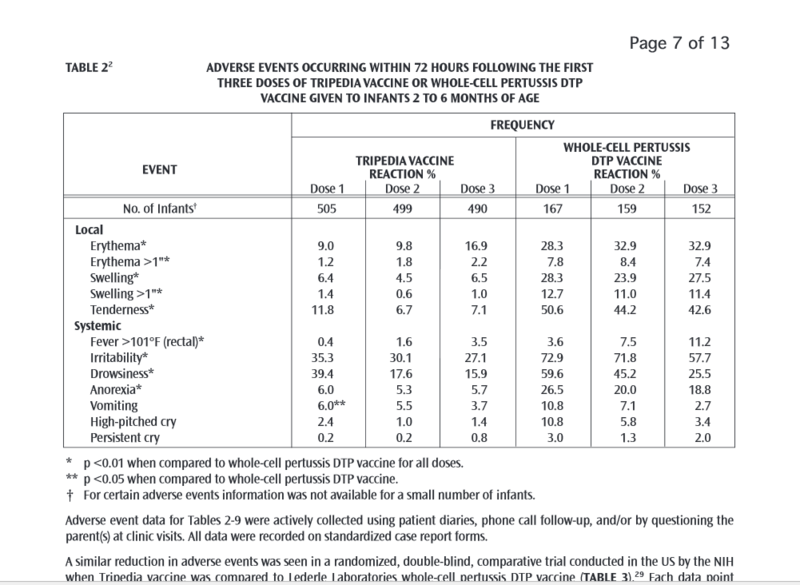 Everyone in the world can download the package insert for every vaccine now, and read the ingredients. And aborted human fetal tissue is in more than 50% of vaccines, including the annual flu vaccine, even those targeting babies. Anything that says “Human Diploid�? anything in the ingredients, lung/kidney/whatever, IS body tissue from somebody else’s aborted human unborn child. The medical establishment had better get to work implementing OTHER disease prevention modalities that many Americans are already using, and that are being researched all over the world outside the reach of the corrupt American FDA, because the age of vaccines is OVER. You had better start practicing REAL medicine! “Let food be thy medicine and medicine be thy food.�? The body heals itself when given the nutritional tools it needs to do so. We understand your desperation here, AMA. If the vaccine industry collapses, the cancer and chronic autoimmune disease industries it generates will collapse. Ha! Do we feel sorry for your careers, built on the backs of our suffering children? Not a bit. In fact, you all belong in a Nuremberg prison! 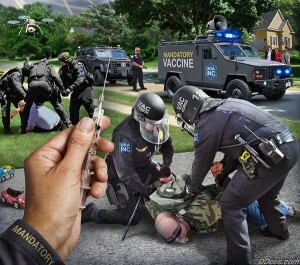 AMA, you are now faced with a full scale Vaccine Civil Disobedience War! Today we are constantly being bombarded with toxic chemicals, bio-toxins, airborne pollutants, environmental toxins, toxic vaccines and more, all with very little sound science presented to us as to the long term effects they are having on our physiology. As we look around us these days we see a society whose health is failing at an ever increasing rate. Such disorders as Cognitive Dysfunctions are nearing epidemic levels in America and across the globe. These dysfunctions include names many if not all of us are painfully aware of through the suffering of these maladies ourselves to some extent, or having our loved ones afflicted. They include (but not limited to) Dementia, Alzheimer’s, ADHD, Autism and many more. The air we breath (via nano-particles suspended in the atmosphere), the water we drink, the food and medicinal products we consume or use daily, and the vaccinations we receive on an ever increasing level, all have a deadly neurotoxin in common, an extremely toxic substance to human physiology and cognitive function is present in all the above in an abundance well above what is considered dangerous or toxic levels … Aluminum. Aluminum is the most common metal on this planet, and for a very long time its systemic harm to humanity (or just about any living organism) has been unknown, or at best a mystery, to most of us. Concerns about the toxicity of ingesting Aluminum were being discussed by researchers and doctors over a century ago, but this has not stopped pharmaceutical, cosmetic or bio-tech companies from exploiting its properties to facilitate profit over the health of their trusting customers and product recipients. Yet our governments and health industries, being fully aware of all of this (as they must be), fail to explain this, present us with suitable warning, or offer any viable solutions, but instead in many cases promoting and propagating these mechanisms to our detriment. It would seem even to the most casual of observers that the very governmental agencies mandated with our protection are failing this task in a very significant fashion, either by sheer ignorance, or by design! This leaves this vital mission of educating the uninitiated to the likes of organizations such as The Liberty Beacon project. What we present below is a thorough study of the toxicity of aluminum and its horrendous effects on humanity and the biosphere. This is a must read for all those who push back against Vaccines, food processing agents, Geo-engineering and Cosmetic dangers (just to name the main culprits). This is one hell of a wake up call !!! Over the last 200 years, mining, smelting, and refining of aluminum (Al) in various forms have increasingly exposed living species to this naturally abundant metal. Because of its prevalence in the earth’s crust, prior to its recent uses it was regarded as inert and therefore harmless. However, Al is invariably toxic to living systems and has no known beneficial role in any biological systems. Humans are increasingly exposed to Al from food, water, medicinals, vaccines, and cosmetics, as well as from industrial occupational exposure. Al disrupts biological self-ordering, energy transduction, and signaling systems, thus increasing biosemiotic entropy. Beginning with the biophysics of water, disruption progresses through the macromolecules that are crucial to living processes (DNAs, RNAs, proteoglycans, and proteins). It injures cells, circuits, and subsystems and can cause catastrophic failures ending in death. Al forms toxic complexes with other elements, such as fluorine, and interacts negatively with mercury, lead, and glyphosate. Al negatively impacts the central nervous system in all species that have been studied, including humans. Because of the global impacts of Al on water dynamics and biosemiotic systems, CNS disorders in humans are sensitive indicators of the Al toxicants to which we are being exposed. Aluminum (Al) is the most common metal and the third most abundant element in the earth’s crust [1–3]. However, it seems to have no beneficial role in the biochemistry of any biota . Until the 1820s when the industrial extraction of Al, primarily from bauxite ore , made it possible to bring Al into food processing, manufacturing, medicines, cosmetics, vaccines, and other applications, Al was almost completely absent from the biosphere . Concerns about the toxicity of ingesting Al were expressed over 100 years ago . Today, biologically ingested or injected forms include salts of Al in processed foods  and medicinal products  such as antacids, glossy coatings for pills, and vaccine adjuvants. The last use, which portrays Al compounds as “helpers�?—the English translation of the Latin root of adjuvants—is supposed to shock the recipient’s immune defenses into action, ostensibly to enhance the immunogenicity of the pathogen(s) in the vaccine(s) . Al salts are also found in dyes , cosmetics , antiperspirants [11–14], sunscreens [15, 16], and thousands of material products including foils, food containers, and utensils. In this paper, we will show that Al is harmful to the CNS, acting in a number of deleterious ways and across multiple levels, to induce biosemiotic entropy . A countervailing view exists [18–20], but the assertions of safety are invariably based on weak epidemiological designs, ones that overwhelm significant negative signals with irrelevant noise factors. Such studies that fail to detect significant negative outcomes neither stand up to rigorous scrutiny nor outweigh better designed research, in a vast and growing literature, showing significant negative impacts sustaining the central hypothesis of this paper. Irrefutable research evidence shows that Al exposure is harmful. Further, results discussed in this paper show that it is counterfactual for researchers to argue that Al is universally safe or beneficial even in trace amounts. Al is used extensively in food processing, for example, in Al-mordanted dye lakes for food coloring, in coatings for pharmaceutical tablets and vitamin capsules, for emulsifying, as a rising agent, to thicken gravies, and in meat-binders, stabilizing agents and texturizers . Even drinking water is a source of Al exposure, although the amount contained in drinking water is typically far below concentrations in common antacids . However, there is concern that the Al in drinking water may be more easily absorbed than at mealtime, due to the fact that an empty stomach promotes absorption . Alum (Al sulfate or Al potassium sulfate) is commonly used in water treatment plants as a coagulant to allow negatively charged colloidal particles to clump together for easy removal. Epidemiological studies have shown that people living in districts with higher Al burden in drinking water are more likely to be diagnosed with Alzheimer’s disease . Since Health Impact News started the MedicalKidnap.com website in late 2014, we have reported on numerous stories where children are taken away from loving families simply because evidence was found of broken bones or other skeletal trauma. More and more research is coming out showing that other medical conditions can cause this trauma besides “shaken baby syndrome,�? and it is not necessarily a sign of child abuse. Some of these children have specific genetic markers that make them more prone to these types of injuries, such as Ehlers-Danlos Syndrome and Osteogenesis Imperfecta. These types of genetic disorders are said to be “inherited,�? but their rise in incidence leads an honest person to seek other causes besides genetics, as the whole field of epigenetics has shown us in recent years that genetic changes can occur due to external and environmental factors as well. With pharmaceutical companies enjoying legal immunity from producing dangerous vaccines, where is the motivation to research and develop safer vaccines? What will it take to slow down the rapidly increasing pace of developing new vaccines, and spend some time and research on making existing vaccines better? How many more children must be sacrificed for the “greater good�?? We observed that children who appeared to be VERY healthy prior to receiving the Gardasil HPV vaccine and were the most physically active following the vaccination (heavily used leg muscles and participated in sports, cheerleading, dancing, biking, skating, or other physical activity), suffered the most sever debilitating symptoms, including gait disturbances and an inability to walk, was possibly due to the increased distribution of the vaccine throughout their body due to increased circulation resulting from exercise and a more efficient cardiovascular system. These girls also complained more of chest pain, centered around the heart. Doctors and Hospitals almost universally refused to investigate or follow up on these patient complaints, but instead administered pregnancy and drug tests, before dismissing these patients with a typical diagnosis of “Conversion Disorder.�? TLB recommends you visit Health Impact News & Vaccine Impact for more pertinent articles and information. 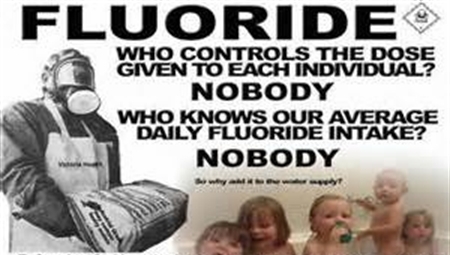 The Fact is … Fluoride Kills! We live in a country that used to boast of having the most freedom, the highest average standard of living, the highest level of productivity, the highest level of scholastic achievement and one of the (if not the) healthiest societies on this planet… My how the mighty have fallen. In The Liberty Beacon project we often discuss the dumbing down of America and point the proverbial finger at the failings of our system of education or the massive onslaught of propagandized (so called) entertainment and news shoveled down our throats by the mainstream media. But is this the true mechanism of dumbing down a society or are there other more physical scenarios in play. Are these assaults on our cognitive abilities intentional and malicious, the result of corruption and complicity, or the result of an incompetent government and regulatory system? 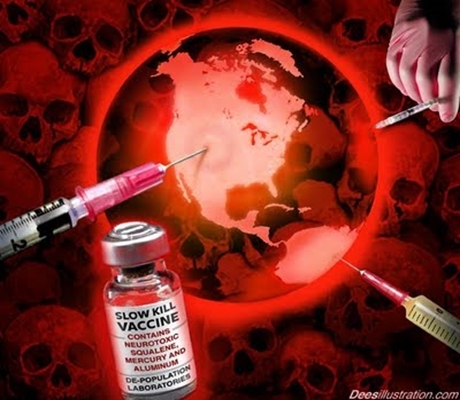 We discuss often the dangers of such known mechanisms as vaccines, GMOs and Geo-engineering, all proven to cause physical harm to the human physiology, but rarely do we hear much, or enough, about a huge and continuing blight on a vast portion of this population … Fluoride! This substance truly has the capability to dumb down and sicken America in a most efficient fashion as you will see in the videos below. Fluoride is a HAZARDOUS WASTE, a byproduct of the aluminum and fertilizer industrial manufacturing process in the form of Hydrogen Fluoride. This byproduct is extremely corrosive and toxic to the environment and human physiology and has been proven so scientifically and through real world exposure over and over again. This is NOT a GUESS but a KNOWN FACT. Fluoride is also a known neurotoxin which is a substance that inhibits the functions of neurons. Neurons are found throughout the brain and nervous system, and the function of these unique cells is super critical for a variety of tasks, ranging from autonomic nervous system jobs like swallowing to higher-level brain function (Yup … thinking and memory). Neurotoxins can work in a variety of ways, with the danger of exposure varying, depending on the neurotoxin involved (Fluoride) and the dosage (well above proven levels of Toxicity). In some cases, neurotoxins simply severely damage neurons so that they cannot function or attack the signaling capability of neurons by blocking releases of various chemicals or interfering with the methods of reception for such transmissions, and sometimes telling neurons to send false signals. A neurotoxin may also destroy neurons altogether resulting in BRAIN DAMAGE! Are you aware that as adults we have what is called a Blood Brain Barrier? This barrier restricts the passage of toxins such as metals from crossing into the brain proper and causing massive damage. Now you need to understand that metals such as Mercury and Aluminum are highly toxic to the brain and central nervous system and are contained in such mechanisms as vaccines and Geo-engineering (chemtrail) fallout (FACT) and now in the food we eat, at levels that are extremely dangerous to the human physiology. BUT we have the above mentioned barrier that goes a long way towards protecting our gray matter. EXCEPT … Fluoride facilitates these metals across this barrier allowing for a constant barrage of metals (from the above mentioned sources) on the brain, slaughtering brain cells. Once a portion of the brain is destroyed there is no going back … the damage is Permanent! Now lets discuss the fact that an infant or small child has NO blood brain barrier or one that is just being developed thus NO PROTECTION … So lets talk about the physical and intentional DUMBING DOWN OF AMERICA. Ask yourself why no matter how much we protest we can’t get this poison removed from our water … because if I know this, and you know this, You have to know our government HAS to know this! What are EPA’s drinking water regulations for fluoride? EPA has set an enforceable regulation for fluoride, called a maximum contaminant level (MCL), at 4.0 mg/L or 4.0 ppm. Ok, so we have a limit per unit of water … but what if we consume more water than the average person, or use more water in cooking etc… So in fact there is no set dosage or limit specified and the result of that is the government has NO idea which of us are poisoning ourselves without knowing it, nor do they apparently care (more on that later)! What this states is that there is no safety net preventing any of us from doing untold damage to ourselves and our children. You will find out below that this government-mandated level is still way too high to protect the human body from the extremely toxic and corrosive effects of fluoride. One example is the difference between breastfeeding a baby and one who is fed from formula made with tap or fluoridated water. The baby who is nursed naturally receives 250 times less fluoride, and this at a time when the child’s physiology is very weak and susceptible to outside damaging influences. Now we have only scratched the surface at this point and there is so much more about this topic hidden below the surface, and like the proverbial iceberg with 90 percent of its bulk hidden … it IS what you can’t see that WILL harm you! Many questions remain unanswered by our government. If you do any research, and there is a plethora of peer reviewed research available, you will find almost immediately that the present level of exposure is very detrimental to all of us. So if this information is readily available to the likes of you and me…don’t you think the protectors of our health (CDC, EPA, USDA) are also VERY aware of this … again Hmmm! Research proved fluoride could be lethal to mammalian cells in concentrations as low as one part in sixty million (60,000,000). This is far below the 4.0 ppm (parts per million) set by the EPA, signifying a constant exposure to a neurotoxic substance at levels WELL ABOVE what is known to cause cognitive and physical damage. These scientists were trumpeting that the cumulative affects over time are most certainly severely damaging to the brain and other organs in the human body, leading to a cacophony of disease and dysfunctions. But not only did no one (government health agencies) listen to them, in fact the process of fluoridating our municipal drinking water accelerated! How about one more swift kick in the groin (literally) before we proceed to the great videos provided below. Why is it a fact that the fertility rate in countries and communities that fluoridate their municipal water, is measurably lower than that in countries and communities that don’t? 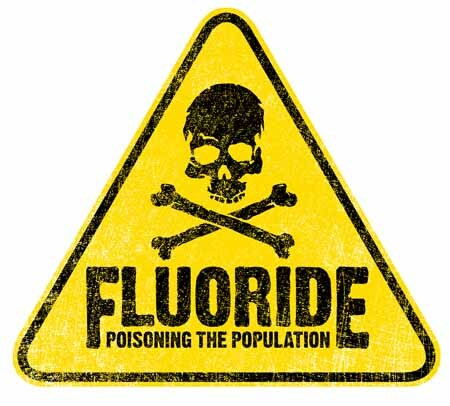 What you will see in the following videos is a very thorough lesson in fluoride, its introduction to American society, the lies and disinformation perpetuated about it, and its deadly effect on a once intelligent, healthy and thriving society. The burning question here is … Have we been too dumbed down to absorb this information and push back on the absolute evil being perpetrated against us? Lets start this video series off with a classic representation of the true power of Fluoride to DUMB DOWN AMERICA! Please share! Very rare video footage of cells being damaged by sodium fluoride. 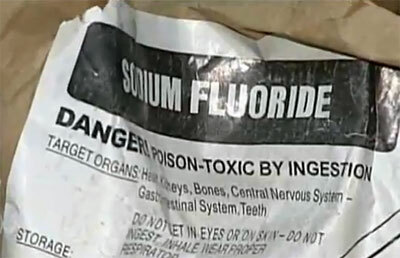 The fluoride added to drinking water is hazardous industrial waste and most is imported from China. Stanley Monteith explains the history of fluoride, its use, its dangers and its promotion in the United States of America. A very informative documentary explaining the pros and cons of lying to the public about their forced fluoridation. I wonder how/why we have gotten to this point, the beautiful thing is people are waking up!